your internet surfing leads you to THIS. 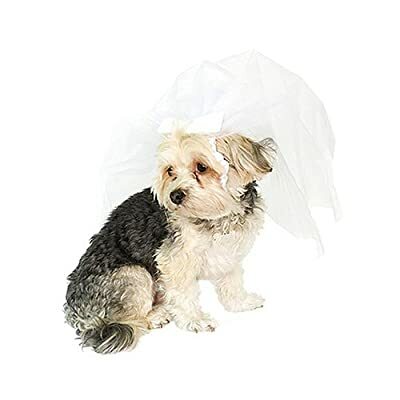 a bridal veil for your pet. insert a hearty WTF right about now. Playing dress up or attending nuptials—your pooch will love to be princess for a day. Top her bridal ensemble with this beautiful veil from Isaac Mizrahi. Layers of luxurious tulle cascade from the crown. Perfect for small dogs and is easy to attach to her head. um. excuse me? does this dog look like it’s LOVING being a princess? no. it looks shamed into oblivion. does she care about the luxurious tulle cascading from her crown? somehow, i doubt it. Poor Isaac. Has he really stooped so low?? Also, that poor dog. The most disturbing part of this to me is that it’s not some weird, obscure website, but freakin’ TARGET. What has the world come to?